If you have recently dropped more than five pounds or had a child, you may have noticed the appearance of saggy, flabby skin on your body. Saggy skin doesn’t look beautiful and prevents you from wearing swimwear and summer clothes. What can you do to deal with this problem? You should know, that physical activity can help you tighten loose skin! Regular exercise improves circulation and creates tighter muscles for the skin to stretch over. There are plenty of toning moves that can help tighten skin on your body after rapid weight loss. In this article, we would like to show you the most effective moves that can help you strengthen flabby, loose skin. It is very important to perform them regularly in order to sculpt your dream body. 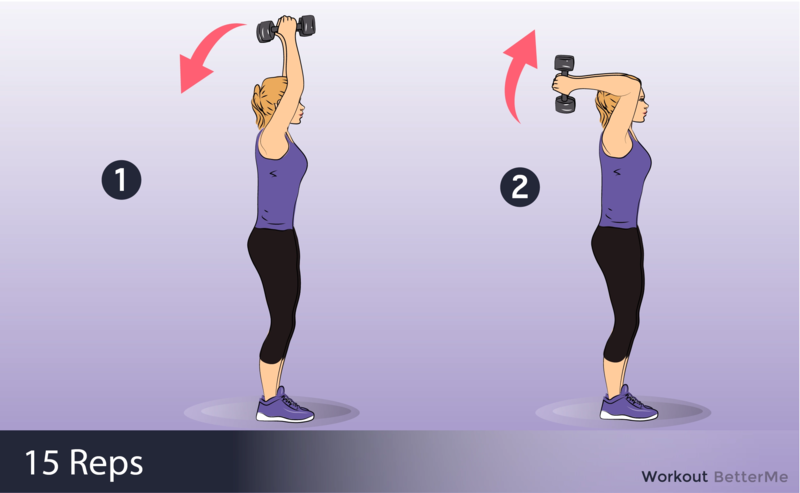 This training routine consists of easy exercises such as bicep curls to overhead presses, reverse lunges, push-ups, alternating-arm bent-over rows and sumo squats. 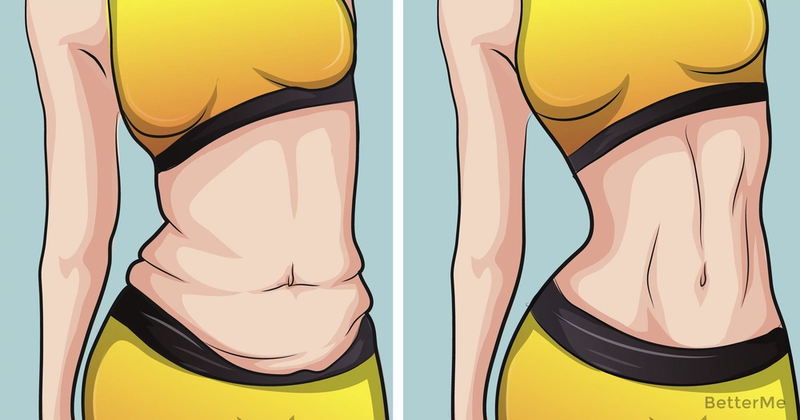 These exercises are designed to not only tighten your skin, but also tone your muscles, which also can help you reduce the appearance of flabby skin. You should repeat each exercise twenty-thirty times. In order to get great results, and you should perform this training routine six times a week. If you are ready to try this workout routine, you should find a set of light dumbbells and a yoga mat. Scroll down to see the instructions in order to avoid bone and joint injuries. By performing these moves your skin will become tight and elastic in no time!